Here's a list of some of the gear I've used in the past, as well as a few of my thoughts on each item. It's a modest list, but I think it's all the more useful because these are some of the best items for beginning photographers. I was so happy when I got this in early 2010, and you know what? I'm still highly satisfied. The D90 and its successors occupy that niche at the upper end of the consumer level SLR cameras. You get almost all of the features that you'll need to shoot professional photos, except for some limitations in the areas of low light performance, megapixels, and shooting speed. Everything else is here, however. Most importantly, you have physical controls for almost everything. For the view options without buttons (like choosing AF area modes) you can create a user-defined menu for quicker access. Also, although I haven't used it, the 18-105mm lens is pretty good for a kit lens, by the way. Although this has been succeeded by the D7000, the D90 is still a great deal. But at only $100 less than the D7000, you're best off getting the newer model. 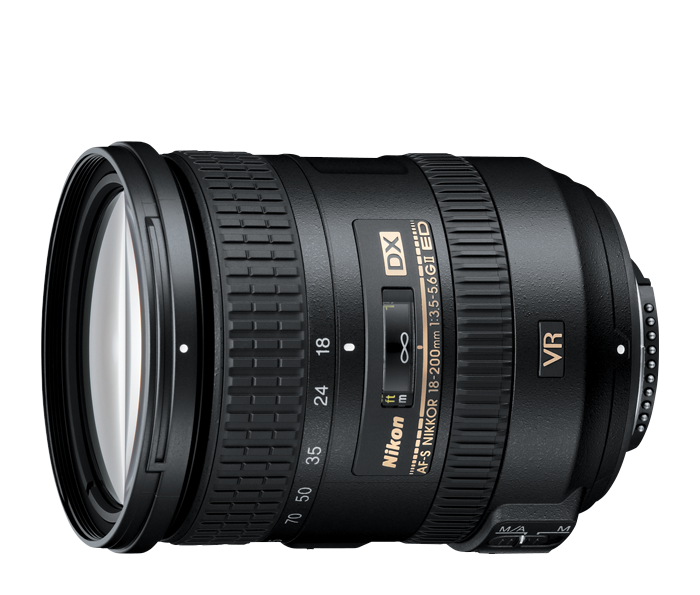 I bought mine as body-only plus the 18-200mm VRII lens since Nikon was offering $200 discount for combos. Good all-in-one lens (such as for travel). Decent sharpness when stopped down (higher f-stops). Decent bokeh at 80mm and higher. Good autofocus speed for such a large lens. DX sensor crop gives you an effective 450mm zoom. Good for wildlife. VRII (vibration reduction) gives up to 4 shutter speeds. IF (internal focus) means the filter doesn't rotate when focusing. Good for polarizers. I got a cool $200 off when purchasing this together with the D90 from Amazon. Nikon runs such sales regularly. I've been satisfied with this lens, using it 80% of the time. It really came into its own when I went to the San Diego Wild Animal Park. Without that 200mm (450mm effective) focal length I'd have no hope of capturing the animals in any detail. This lens won't cook you breakfast, but it does do a lot of other things well. Prime (fixed focal length) lens. 35mm translates to 50mm on a DX sensor, which is a great focal length for portraits and street photography. Silent Wave Motor (SWM) for quiet focusing. 35mm gives you 50mm equivalent focal length on a DX body. This, everyone knows, is one of the standard focal lengths for portraits and street photography. It's awesome and I use it all the time for indoor shooting as well as portraits and street photography. It yields really pleasing bokeh (background blur) for portraits. Make the eyes stand out from the rest of the face. It's all about the eyes! It also makes this a very "bright" lens, able to gather plenty of light and take sharp indoor images without flash. The only reason you might consider anything else is if you might someday get a full-frame (FX) format camera. In that case you might consider the Nikon 35mm f/2D AF for FX instead. 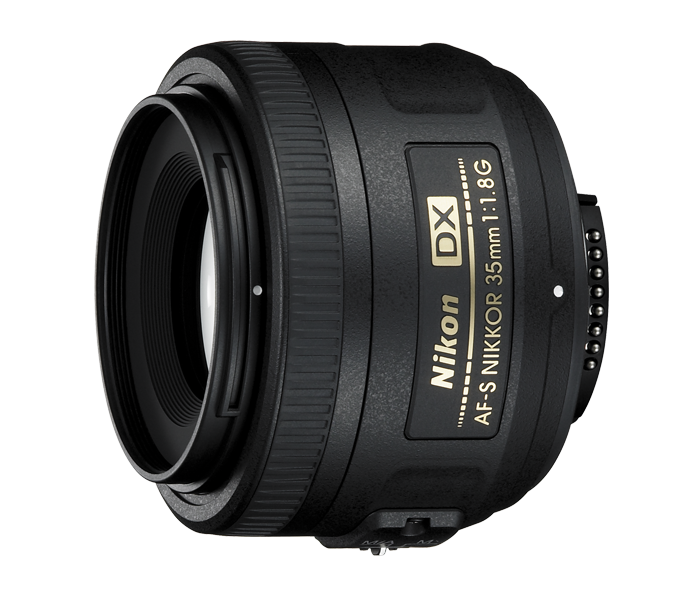 However, compared to the $360 price tag of the latter, the DX lens is an attractive deal and got better reviews. Wholeheartedly recommended for your photography equipment collection. And it takes up so little space in your gear bag! What's not to love. Dramatic improvement over built-in flash units. 18mm angle of coverage. Fixed zoom. If you've ever held a camera, then there's a good chance you've been the victim of horrible flash syndrome, or HFS. It's that washed out, overexposed look and red eye that you get from using a direct flash. This ravaging disease affects billions of innocent photographs every year. But there is hope! The cure is an external flash. By bouncing the strobe you can solve the uneven exposure and redeye issues. You're also able to add some directionality to the lighting, casting more pleasing shadows across your subject. So for around a Benjamin you can dramatically improve your all your photos, but especially your indoor portraits. Some will point out that this lacks a lot of flexibility compared to larger full-size flashes. I agree with that, but for the low price, the SB-400 is still good enough for many.